Fall is here, and soon enough we'll be pulling out the rain boots, extra hats, coats, and umbrellas for every time we walk out the door. Fall is my favorite season, but it can be a drag when you don’t have a place to put everything. That is precisely why mud rooms have started to become more trendy in the last few years in Texas. Mudrooms create a dedicated space for all the belongings you need as you are running out the door or coming home from a long day. Remodeling is supposed to enhance your way of living by increasing functionality and beauty in your home. Whether you choose to convert a room in your current home or add an addition to make a mudroom, it will make your life easier! Here are a few things that we recommend you include in a mudroom. These tips will allow you to maximize the space in your mudroom, regardless of the size. Plenty of Coat Hooks: This is essential! You need places to hang all of your jackets, keys, purses & your children’s backpacks so nothing will get misplaced! Storage & Seating: You will be taking off your shoes when you walk in the house, so it’s a good idea to include built-in seating and storage for your family’s shoes. 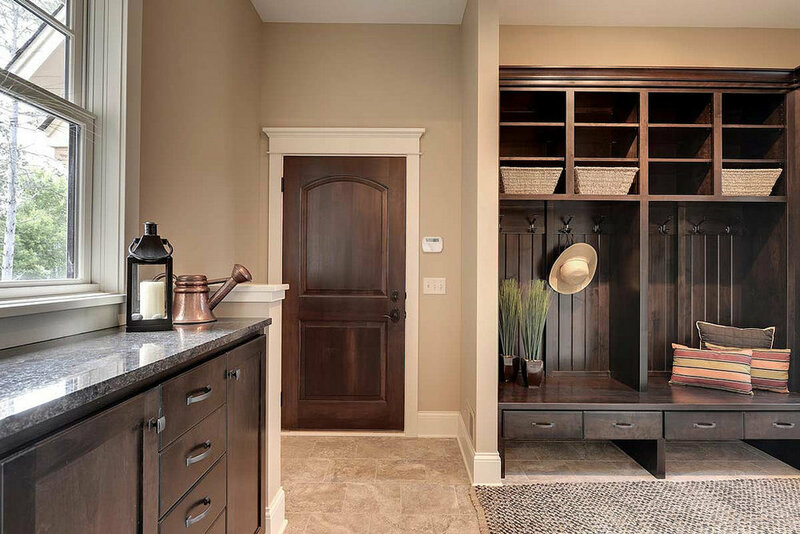 Easily Cleaned Surfaces: This room is meant to get dirty... that’s why it’s called a mudroom! So make sure your selections offer easy clean ups. Cubbies: If you have children this will be a lifesaver! You can add a cubby for each child, so everything they need is right where it should be. You can even make an extra cubby for yourself while you're at it! Full-Length Mirror: This gives you a chance to make sure everything is pulled together before you and your family race out the door. A mudroom will add value and make your life much easier since you have everything you need in one place before you start your day... and who wouldn't love that?! ?